Peacefully on September 2, 2018, with family by her side, Jean Harrison passed away at the age of 99. 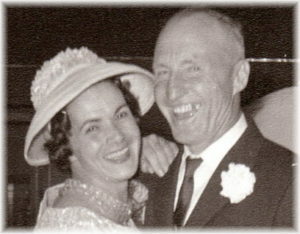 She was predeceased by her husband of 59 years, Edward (Ted) Harrison and son Donald Harrison. She leaves to mourn her sons Roland, Dave (Karen), daughter Carol (Jack) Dubnicoff, twelve grandchildren and nineteen great-grandchildren. Grandma was born in Moosejaw, Saskatchewan. Her father was a farmer and carpenter and he moved the family to where work was available. Life was not easy for her as a young woman. She started working at the Grey Nuns Hospital in St. Boniface when she was 13. 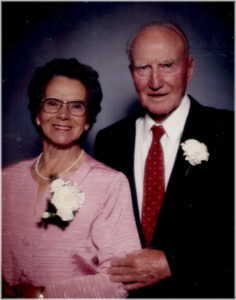 She met Edward (Ted) Harrison, they married and raised their family in Powerview. She took her training as a Nurse’s Aide in the 1960s and worked at the Pine Falls Hospital until her retirement. During retirement, she travelled often with Grandpa to visit their extensive families. Grandma did active living (before it was a thing!) 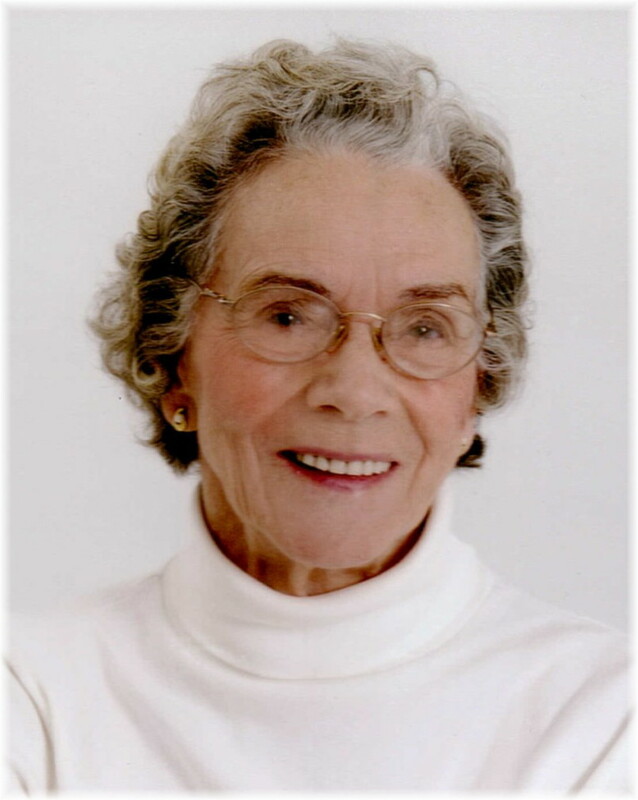 she was an avid curler, bowler and golfer and had multiple trophies to prove it. She enjoyed baking, her wild blueberry and pumpkin pies were family favourites. Her ginger cookies helped fuel her granddaughter Tanya and the Canadian cycling team at the Sydney Olympics in 2000. Las Vegas and South Beach Casino were her favourite destinations. When her health declined, she moved to Selkirk, Manitoba. Our family would like to thank the staff at Red River Place for their compassion and care. Her smile and laughter will always be missed by her family. At Jean’s request, cremation has taken place and a private interment will take place at a later date. Ken and I were very sad to read about Jean’s passing. We had so much fun with her when she was in the Pine Falls Hospital when Ernie was there. She was a great lady and you will all miss her dearly. Lorraine and Gerry and Isny were sorry to learn of Jean’s passing. She was a wonderful person and lots of fun. We remember the good times we visited her and Ted in Pine Falls. So sorry to hear about your Mom Carol. She was a wonderful lady and I enjoyed every minute in her presence. My sincere sympathy to Roland, David, Carol and the rest of the family. I have very fond memories of your Mom, Carol, and am so sorry for your loss. My condolences to Carol, David, and Roland and all the grandchildren and great-grandchildren (my goodness, 19 of them!). I know you will all miss her so much. Very sad to learn of Mrs. Harrison’s passing. I remember her, and Ted, as two of the nicest adults I knew in my childhood, growing up in Pine Falls. They were always around the rink, helping us kids. Sincere condolences to all Jean’s family, from Janet and Susan McGuire, and from our dad, Bill McGuire. We lived next to the Harrisons in Pine Falls – I remember Jeanne very fondly. 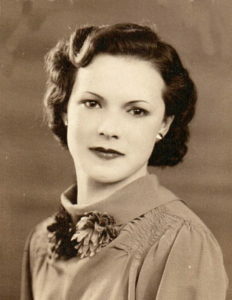 She ran her busy household with energy and humour – and she always looked so beautiful. She was a wonderful wife, mother and neighbor and great friend to my mom, Verna. Besides caring for her home and family, she nursed Butchie back to health after his accidents. We all loved her.